While Winter has taken a while to get here, the temperature is dropping and things have certainly started to change. 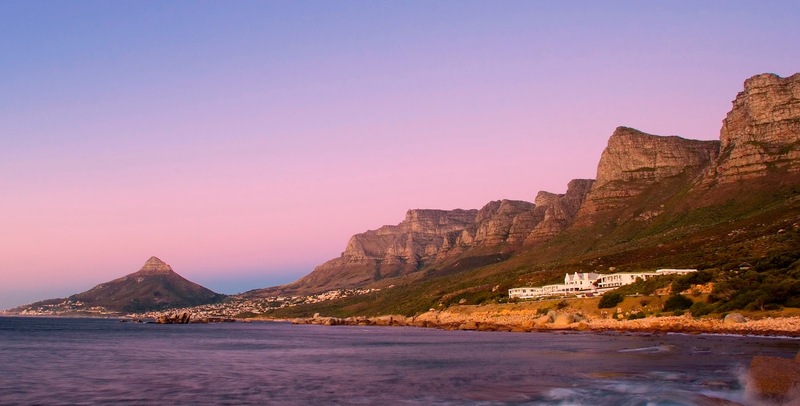 Colder days and nights give us more reason to enjoy red wine, blazing fires, comforting food and great getaways! At The Twelve Apostles Hotel and Spa, we’ve got something for everyone; from fantastic accommodation and Spa packages, to wonderful wine evenings in the Azure and a host of other Winter events and activities. Buffet on Sunday 18 June. Sponsored by Devil's Peak Brewery, we invite all Dads & Fathers to join us for a complimentary beer tasting, with Lunch in the Atlantic Marquee and Azure restaurant, starting at 13h00. Price is R495 per person. We have a host of delicious winter specials to warm the cockles of your heart. Escape the city for an hour or two for our indulgent Express Lunch in a setting with views to die for. 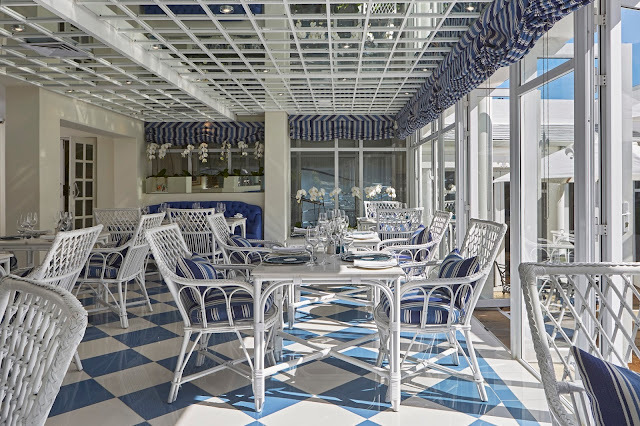 Guaranteed to have you in and out within AN HOUR…if you’re under time constraints, the two-course Winter Lunch in the Azure Restaurant includes a glass of wine and a complimentary shuttle service from Camps Bay and V&A Waterfront. Lunch is from 12:30 to 15:00 and costs R295 per person. Keep the chill out your bones with our hearty Curry Evenings. Taking place every evening from 18h00-22h00 in The Café Grill from June to August, our menu includes a traditional plated starter, family-style main course (three different curries, rice and roti) and a delectable dessert. Price is R360 per person. For an evening of sophistication and fine fare join the hosting winery and our culinary team in the Azure Restaurant for our monthly Food and Wine Paired Dinners. * The Paul Cluver Wine Dinner takes place on Friday 30 June. Paul Cluver Wines is a family owned and run winery (since 1896), focused on producing wines that reflect the uniqueness of the cool-climate Elgin terroir. The family is proud to have pioneered the Elgin appellation and is a leader in sustainable farming. This estate forms part of the UNESCO world heritage site, the Kogelberg Biosphere. Half of the estate has been set aside for conservation into perpetuity. Price is R585 per person (meal, wine, water and gratuity). * The Meerlust Wine Dinner takes place on Friday 28 July. Beginning in 1756, growing fine wines on the Meerlust Estate has been part of the Myburgh family tradition for eight generations. Situated in the Stellenbosch winelands, Meerlust continues to produce world-class wines under the experienced eye of winemaker Chris Williams. Join hosts Executive Chef Christo Pretorius and Chris Williams for an evening of glorious food and wine from one of South Africa’s favourite wineries. Price is R585 per person (meal, wine, water and gratuity). A taste exploration AND a great night out! Our NEW Dégustation Dinners offer a wonderful combination of flavours and textures across six mouth-watering courses. Dinners take place in the Azure Restaurant on the first Friday of every month. The Chef’s Table can also be booked for exclusive dinners and can accommodate between six and 12 guests. Booking is essential. 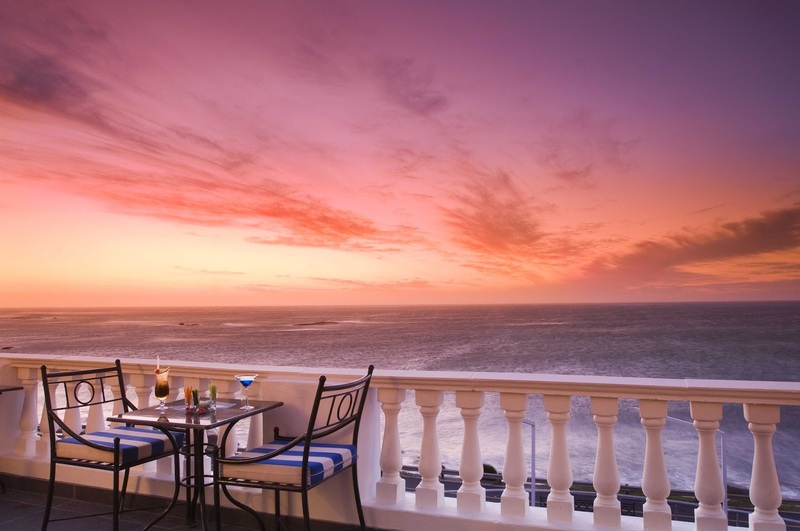 Price is R2150 per person for a six-course dinner including wine, water and gratuity. If you’re gagga about craft beer then our Craft Beer and Canape Special is for you. Craft beer continues to grow in popularity and the Dads will LOVE it for Father’s Day. The special includes five beers, paired with five different canapes. Available daily between 11:00 and 18:00, at R225 per person. Tuck into our Burger and Craft Beer Special while relaxing in the Leopard Bar and taking in the best views on the west coast. Order any of our gourmet burgers and receive a complimentary 300ml Craft Beer on tap. Available all day Monday to Friday. You just can’t beat our Dinner and a Movie Overnight Package for amazing luxury and value. Be wined and dined with a three-course dinner from our choice select menu in either the Azure or the Café Grill Restaurants, before settling down for a cozy movie in our private cinema, and then an overnight stay. After a good night’s rest, sit down to our legendary English breakfast and return home after what can only be described as the ultimate night out! Package available until 30 September, price is R1730 per person per night. Dinner & Movie ONLY is R525 per person. Due to increasing demand we have launched a Vegan Tasting Menu. “Our new vegan tasting menu is made with the freshest, healthiest seasonal ingredients. Things like beetroot, butternut, beans and tofu never tasted or looked this good and is exactly what our vegan diners are looking for,” says Executive Chef, Christo Pretorius. The meal costs R475 per person and is also paired with some of the Western Cape’s most delicious wines. Our legendary High Tea is the ideal way to spoil yourself or to celebrate a special birthday, Kitchen Tea or Baby Shower. Indulge in scrumptious, freshly baked scones with all the trimmings, cupcakes, and mouth-watering finger sandwiches, enjoyed with the perfect cup of tea or coffee. A special Tea by the Sea buffet is served on weekends, while three-tiered tea stands are available daily in The Leopard Bar, for those who prefer individual service. Price: R 275 per person – Served on a 3-tier stand in Leopard Bar or Conservatory daily. A High Tea Buffet is served on weekends.